Race slot cars, predict stock prices, shoot through outer space, sneak around a haunted mansion, grow a beautiful garden, fight off a zombie invasion, go fishing, and much more, in additional StreetPass games! 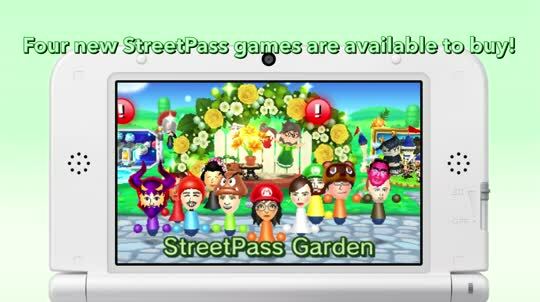 Achieve goals in the additional StreetPass games to earn plaza tickets! 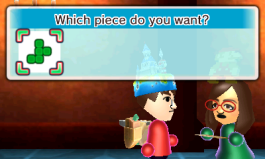 You can swap plaza tickets* for extra hats or outfits for your Mii in the Exchange Booth. Can you unlock all the outfits in your Mii character’s wardrobe? *Please note that plaza tickets cannot be earned in Puzzle Swap or StreetPass Quest. 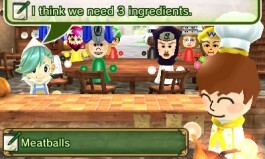 To purchase additional games for StreetPass Mii Plaza, select the Shop icon from the plaza menu. Choose the game you want to purchase, then speak to the rabbit to proceed with the purchase process. 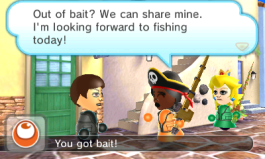 You can also choose to purchase StreetPass Mii Plaza Premium or the games in bundles. To see the most recent updates, go to the far left of the menu within StreetPass Mii Plaza and select "Check for Updates". 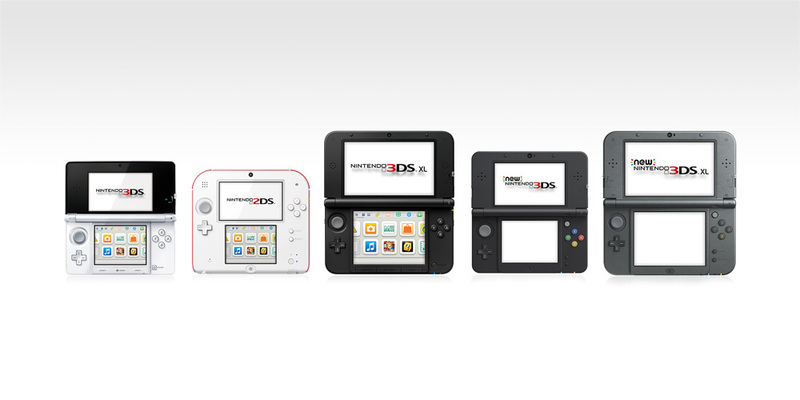 To purchase additional StreetPass Mii Plaza games, a system update may be required. For more information on system updates, please visit our Support section. 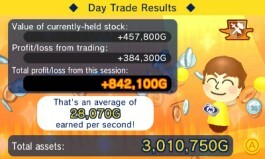 You can choose to download either StreetPass Slot Racer or StreetPass Trader for free! 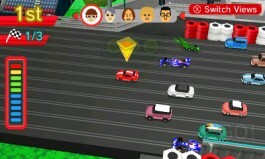 Take control of a slot car and race against players you meet! Be sure to slow down to take tight bends, or you'll go flying off the track. As you come out of a curve, accelerate quickly to boost ahead of the competition. Customise your slot car by changing its colour, chassis, tyres and more to create a vehicle to be proud of. Give yourself a winning advantage by building Booster Chips with the aid of other players and triumph on the track! 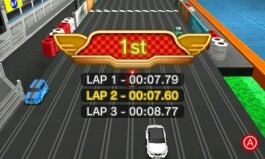 You can choose to download either StreetPass Trader or StreetPass Slot Racer for free! Buy! Sell! Buy! Sell! 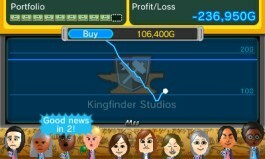 This game is all about getting the best bang for your buck and making loads of money. Play the markets, buying low and selling high, and trade off your stock at just the right time to make off like a banker. Keep concentrating, as each day's trading – and your opportunities to profit – will be over in a few blinks! Take the advice of players you meet to work out which companies to invest in, and use your earnings to buy merchandise to decorate your room. 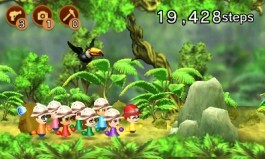 Hordes of hungry, hungry heroes are on their way to rescue the king, but on their way they need a hearty meal! Cook up a storm using ingredients brought along by the weary travellers, and rustle up recipes that'll give them the energy to fight on! Use the daily step count of any players you meet to venture forth into wild frontiers and discover new worlds. 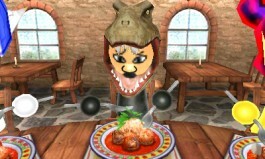 On your adventure you'll encounter all sorts of angry beasts, so watch out! 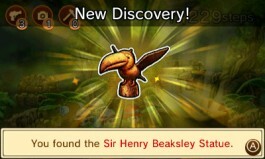 Collect treasures, which can be turned over to the museum, and figure out mysteries as you go. Keep your camera handy so you never miss a photo opportunity! Launch yourself from the Cannon of Justice and protect the townsfolk from invading demons! 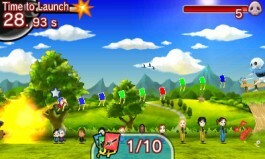 Players you meet will provide equipment, attached to floating kites. Arrange the kites into a suitable flight path, then fire yourself into combat, grabbing the gear as you go! You'll only have a limited amount of time to prepare your flight path before you set off, though, so be quick! Don't be disheartened if you can't defeat a demon the first time – even a failed attempt will weaken them, so try again and drive them away! From September 1st 2016, you can use the SwiftPlay Plaza, which streamlines the way you play the games, and a new queue feature is included as part of StreetPass Mii Plaza Premium! Select your fishing spot, cast your line and pull the line when you get a bite. 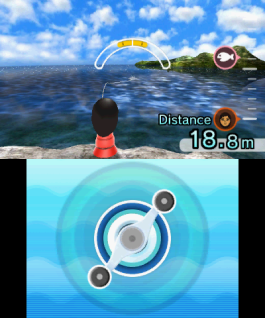 Use the Nintendo 3DS Touch Screen or the Circle Pad to bring your catch in, but be careful not to break the line or you’ll lose both fish and your bait! Each catch will earn you money and increase your rank, allowing you to purchase new rods and aquariums, or access new locations. Fight against hordes of zombies using a range of creative weapons themed on the hobbies of players you’ve met via StreetPass! 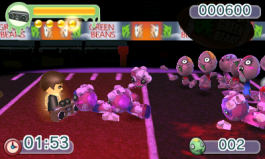 In order to save the city, which has been overrun by zombies, you must work your way through each stage and wipe out the zombie menace using 26 unique weapons. 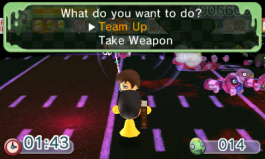 Mii characters that you meet can join the fight as CPU-controlled characters or lend you their weapons. Perform combos to take down your enemies, or dole out extra damage with a charge attack. Battle your way across the city, defeating enemies, escorting survivors and looking for items, to stop the zombie menace! Recruit Mii characters into your StreetPass Squad, an intergalactic police force charged with defending the galaxy from a bunch of evil space pirates, the Gold Bone Gang! In this scrolling shoot ‘em up, rescue Mii characters that you’ve encountered via StreetPass, then soup up your ship’s offenses with a range of weapons that differ depending on each Mii character’s shirt colour. For instance, Mii characters wearing red allow you to bolt on an Incinerator, while those wearing light green let you use a Plasma Whip! 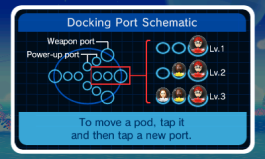 Mii characters placed in the foremost spots control which weapons are active, while placing more in the support slots increases active weapons’ offensive power. Switch your weapons around on the fly and rotate your vessel to hit your enemies’ weak points. 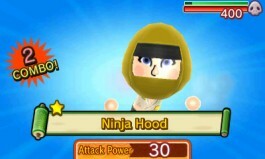 But beware – every time you’re hit, a Mii character will be ejected from your ship. Lose them all and your mission’s over! 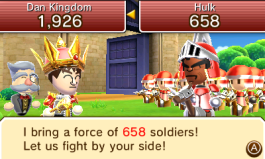 Conquer the world with a mighty StreetPass army! Choose a type of army – Medieval, Shogun or Futuristic – and take on 20 countries, each with their own fearsome leader. Unite the whole world under your rule by besting them on the battlefield in rock, paper, scissors-style matches. Outwit your foe by dividing your troops into battalions of Horsemen, Spearmen and Archers and watch your army grow with every victory! You may also build your military when meeting other gamers – though some players will be less willing to hand over their hard-won soldiers and might instead challenge you to battle! 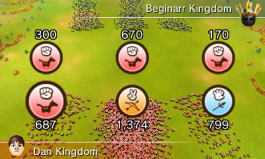 Gather materials as you travel across the continent and increase the size of your castle, allowing you to take advantage of spies and hire additional troops with Play Coins. And don’t forget, your trusty advisor Wentworth is also on hand to offer advice in exchange for Play Coins! Take on the role of a paranormal detective and investigate a ghost-infested mansion! Clamber through 30 floors creaking with ghouls, piecing together the floor plan with segments of map supplied by any petrified Mii characters that you’ve stumbled upon. Place map pieces of the same colour together to create rooms containing treasure chests and useful items – the bigger the room, the better the rewards. Putting different colours together creates doors instead, but tread carefully: entranceways often hide apparitions! 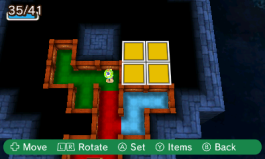 Either way you’ll be filling in the level map, inching ever closer to discovering the next stairway upwards. 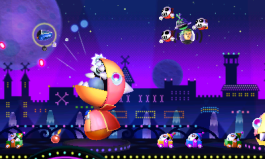 Battle ghoulish enemies, taking advantage of different weapon types to expose their weaknesses. Weapons can also be combined and upgraded for faster, more powerful attacks, and if you’re in need of some extra assistance you can spend Play Coins to track down even more frightened inhabitants of the haunted house! 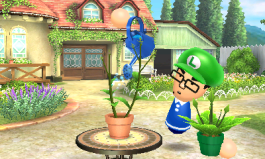 Gardening expert Mr Mendel is on-hand to help you bring your blooms to life and grow a beautiful garden with StreetPass! Ensure that your flowers get all the water they need by meeting as many people as possible – every person you pass visits with watering can in hand, helping your current plant to grow. Cross-pollinate with other players’ flowers to create dozens of hybrids, or even completely new flowers. Sell spare seeds in the local town, or take on jobs from a shop for extra cash. 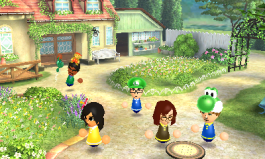 Once you’ve grown a few flowers, buy decorations and customise your garden in any layout you like, then photograph it, using your Nintendo 3DS family system’s motion controls to aim the perfect shot. If you’re in need of an extra pair of gloves around the garden, you can even bring back a previous visitor (chosen at random) with Play Coins.